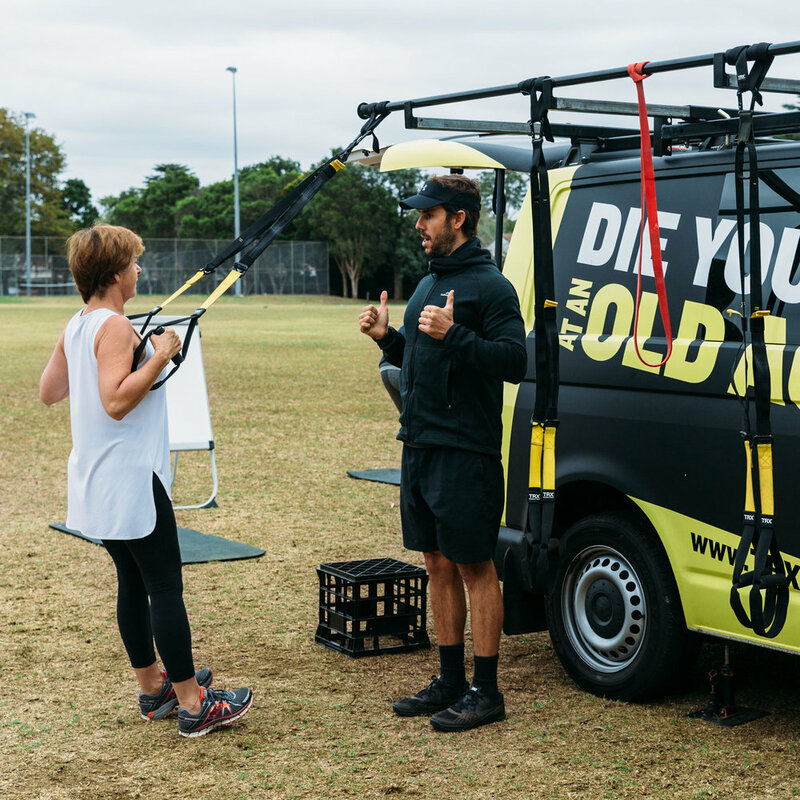 TRX Group Training offers a range of sessions and classes that are ideal for any level and any goal. No matter what stage of fitness you are currently in, we can help you to find a solution to ensure you have a great time, meet some new friends, to motivate and empower you to succeed and achieve your goals once and for all. Find out more below about what each class involves, what to expect and if it's the right fit for you. A workout session specifically designed for you, your goals and your level of fitness. Not wanting to go at it alone or a group? Our group sessions are strength-based, high intensity classes that will push you to find your inner athlete. We'll be going through a range of exercises but always at your own pace.